Christmas Day deals continues, with a Vankyo Leisure 3 Portable Projector currently available for just $59.99, a deal that’s quite the reduction on the usual $90 asking price. 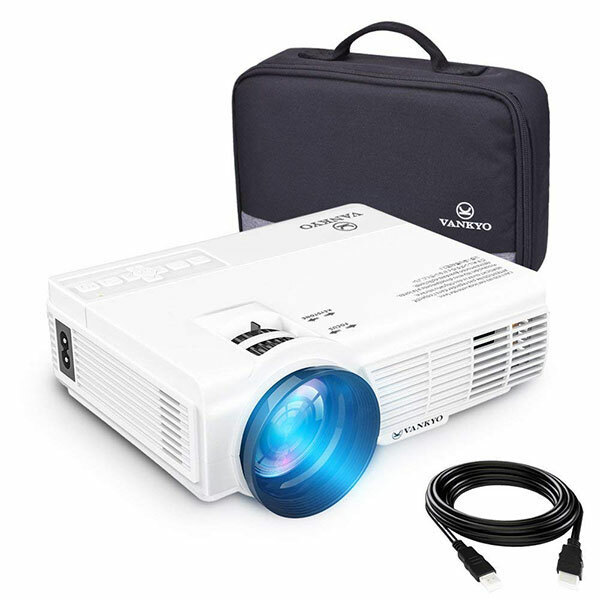 That saving gets you a projector that is capable of displaying a 1080p image via its HDMI port, and it even comes with a handy carrying case in the box, alongside a USB cable. This would be a great option for connecting to a game console or even a smartphone, and it can throw an image all the way up to 176-inches if it’s given a projection distance of around 16ft with which to work. Leisure 3 Projector is Powered by MStar Advanced Color Engine. 2018 upgraded LED lighting provides +40% brightness than ordinary projector. Supporting 1920×1080 resolution, 2000:1 contrast ration which is ideal for home entertainment. Not recommend for PPT or office presentation. If you’re worried about how much noise this thing will produce, then you needn’t. There’s a fan noise suppression system that should make noise a worry of the past, thanks to its “innovative cooling system.” There’s a three-year warranty with a 100% money back guarantee in play here as well, something that manufacturers don’t tend to offer unless they are supremely confident in the products they sell. If you’re in the market for an inexpensive yet capable projector that can be moved around the home or office, this one should definitely be on your shortlist. It’s amazing what a projector can do from a relatively short distance these days, and at less than $60 using on-page coupon before check out, this is one option you shouldn’t be discounting. Why you would trick your readers into thinking this is a usable product, I don’t know. But shame on you. 800*480 Resolution… shaaaame on you redmondpie! !